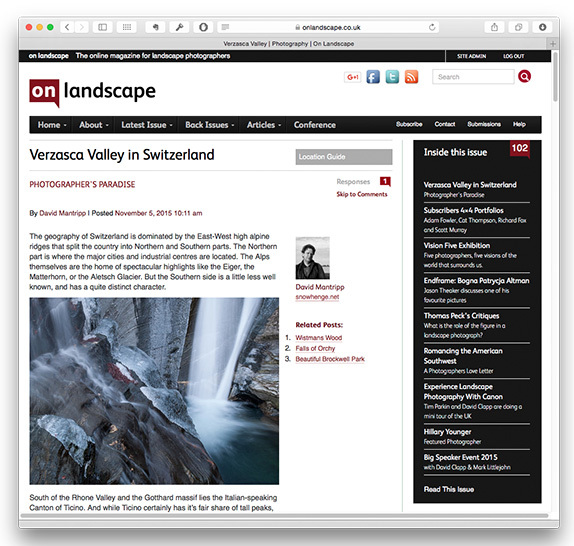 I’m pleased to announce that I have just had an article published in the excellent online magazine, On Landscape, about one of my favourite places, both photographically and generally. I’ve been building up to this for quite a while, and finally got around to actually writing it. I’m not sure I’ve really done justice to the subject, either in words or pictures, but maybe it will attract some better photographers than me to work some magic.